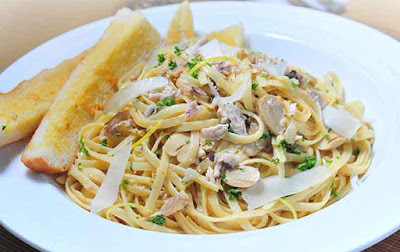 Milkfish fillet pasta is a good for whole family and since it is easy to cook the dish suitable for all occasions. Moreover, it is a healthy meal served with nice ingredients and really quick to be cooked even without any effort. If you like to experience many pasta recipes, you seriously need to try making pasta with milkfish bangus because the fish has tender meats and mild flavor and thus the pasta seasonings can bring the taste better. And did you know consuming milkfish can help to provide good nutrition intake of omega 3 fatty acids? This is why it is recommended that we eat fish at least 2 to 3 servings as omega 3 source. Our first milkfish fillet pasta is really creamy so it melts in your mouth which is really tasty and it also served with delicious nutty pesto. 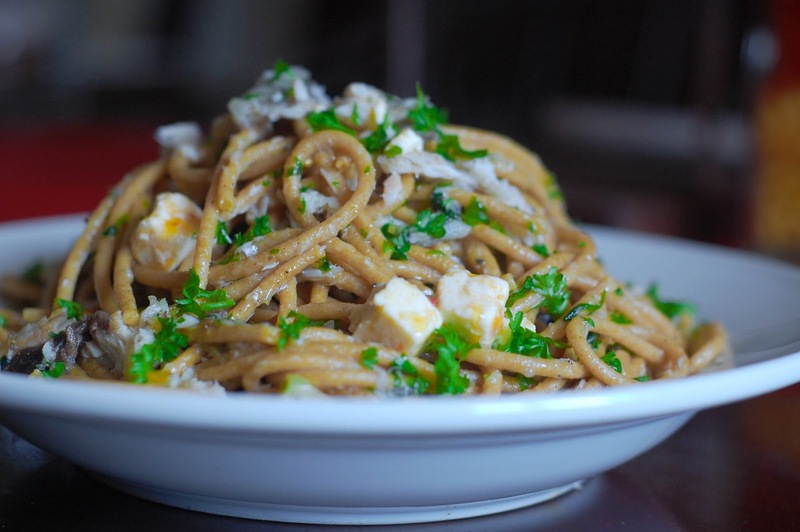 To cook the pasta, you can follow these instructions. 1. Prepare the fish fillets. If you purchase frozen milkfish fillets then you should thaw them properly. You can thaw the fish by store it inside refrigerator overnight or soak the fillets in a bowl of cold water. You can also cook the frozen fillets straight out of the freezer simply by rinse it under running cool water to get rid the ice crystal. 2. Marinate the fillets for 5 to 15 minutes with pepper, salt, and lemon juice. 3. Preheat the cooking oil and put the all purpose flour in a bowl or plate. Dredge the both side of the fillets in the flour and shake to remove any excess. 4. Deep fry the fillets one by one until they are cooked or when both parts are turn into golden brown with crispy texture on the outside. Remove the fish when it is done and then place to the paper towel to drain exceed oil. 6. 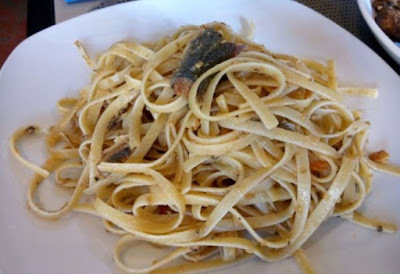 You need to serve this milkfish fillet pasta recipe to maintain the crispiness and it is better to be served when still hot or steamy anyway. 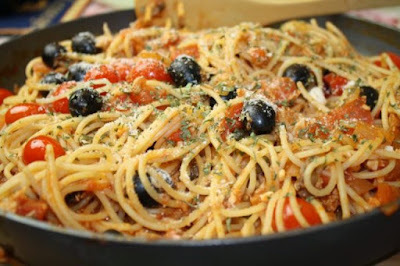 If you want to share other milk fish fillet pasta recipes then we are glad to hear from you. You can experiment other recipes using milkfish bangus fillets as the main ingredients. In fact, you can even replace other fish recipes with milkfish if you want milder flavor. Milkfish is good as replacement for tuna or salmon recipes, because it is healthy and has a very delicious taste. Milkfish can be cooked in many cooking methods not only served as pasta too but also prepared with baking, broiling, steaming, smoking, and many more. Even some people like to serve milkfish as raw ingredient in sushi or sashimi recipes. For milkfish fillet pasta recipes, you can also try to cook the fish with cheesy Italian pasta and just like you already guessed, it is really delicious. The cheese melt in your mouth and you can even mix it with tomato sauce. To make this recipe you just need to do similar cooking method with the recipe above. You need to deep fry the fish fillets and then make soy garlic sauce. Serve the crispy fillet pasta with the sauce, sprinkle some sesame seed and of course do not forget the creamy cheese that melt in your mouth. Pasta is a perfect healthy meal because usually it served with vegetables, heart healthy fish like milkfish bangus, antioxidant rich tomato sauce, lean meats, high protein packed cheese, beans, and many more. In addition, milkfish fillet pasta is really good to be included in diet because it does not bring high calories level and besides, milkfish full of nutrients, minerals, and vitamins which are support good and healthy diet. How to Cook Frozen Milkfish with 4 Easy Methods?